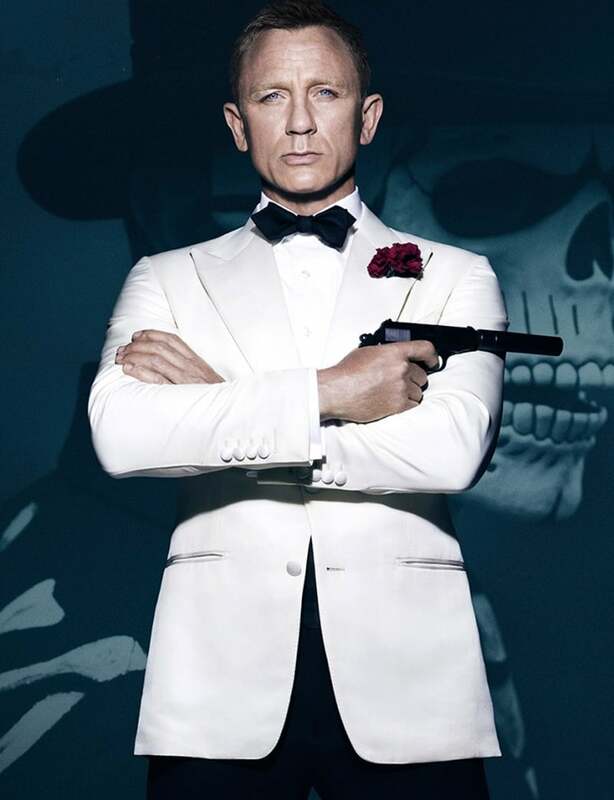 This Autumn James Bond is back and also making a welcome return we see the classic White Tuxedo. We first saw James Bond in his white tuxedo in ‘Goldfinger’ but the last time he wore it was back in 1985 in a ‘View to a Kill’. The white tuxedo seems to be most fondly remembered from the Hollywood Glory Days of the 30’s and 40’s with Humphrey Bogart’s appearance in Casablanca being amongst the most memorable. Bryan Ferry later paid homage to this on his album cover ‘Another Time Another Place’ inspiring the New Romantic Movement of the late 70’s and early 80’s. Since the late 80’s the Black Tuxedo/Dinner Jacket has tended to be the staple attire of the red carpet and evening event but as with Bond you can’t keep a good thing down! So, with the Christmas and New Year Party season not too far away and if you have that certain je ne sais quoi and joie de vivre then let us here at the Vow Bridal Gallery help you look 00 Cool! And, whilst you’re at the bar, remember mine’s shaken not stirred! Vow…to look cool this yule!New Guest Designer ‘Sadoni’ – Coming Soon!